"Country-style ribs are cut from the loin, one of the leanest areas of pork. 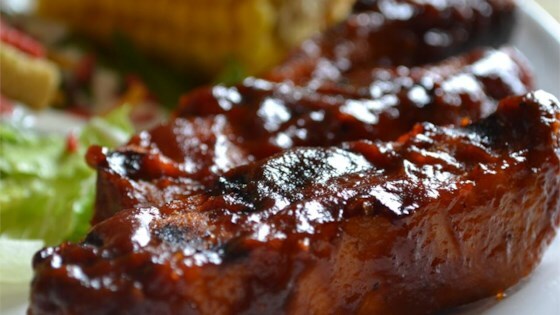 These ribs are seasoned, boiled until tender, then baked with your favorite barbeque sauce. That's it! Back to simplicity, back to the country life. Sigh."